The top England runscorer market is a hot-potch of underachievers and never-will-bes. Good luck picking a winner out of that lot for the final Test in the Caribbean. It is such a chaotic mess, however, that there is surely value lurking, somewhere. England's batting frailties have been ruthlessly exposed by West Indies in Barbados and Antigua. And, in fact, if we think back to the three-Test series in Sri Lanka, too, when the likes of Ben Foakes and Sam Curran had to dig them out of holes. Finding a winner in such a sea of mediocrity is a challenge. There is very little good to say about the likes of Keaton Jennings and Rory Burns, for example, whose leaden footed approaches make Mr Blobby look like Nijinsky. Jonny Bairstow has been rash with his strokeplay and still seems to have a sulk on with the gloves being taken off him. Having never batted as high as No 3 his technique is struggling to cope when the ball is fresher. Much better for him to slow back into the cosy confines of the middle order. Joe Denly, another opener, has played only one Test but eyebrows were raised at the manner of his dismissal in the second innings at North Sound. Technique? Nope. Temperament? Why chase a wide one? Then, of course, there's Joe Root. Surely Root is the one beacon of brilliance that England possess. He is, after all, the jolly on the market at 10/3. And we have written each time in this series that Root has little to beat. For technique, temperament and all-round class no one comes close to Root. Yet he is the worst value of the lot of them. When actually analysing England's top runscorers over the last two years you realise what a sorry state their batting is in. They have had no fewer than 13 top-bat winners in that time. In terms of pure value, Craig Overton has won twice. That's two more than Burns and Jennings, and one more than Ali. Sam Curran has also notched twice. Root? It's four wins in 26, a hit rate of a little over 15% which suggests he should be more like 11/2. It's a difficult sell, then, a Root wager here. He may be the best of a bad bunch but his price is the worst, too. Instead, it is the middle-to-lower order strikers who will tempt. 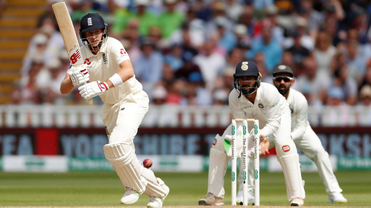 The likes of Ben Stokes and Jos Buttler, who can attack with ferocity and have helped England to earn a reputation as a team who can be destructive but, more often, the destroyed. Stokes has three wins in 19 so there is an edge on Sportsbook's 7/1. Buttler, however, is available at 6s and on two-year form it could be argued he should be the jolly at around 3/1. Now, of course, we know that is not the sort of price he would ever be chalked up at but it highlights England's issues rather well. Too often the top order have floundered leaving the likes of Stokes, Buttler, Overton (!) and Curran to come to the rescue. Curran, by the way, is available at 20s. No one should be surprised if England, faced with energised West Indies quicks like new boy Oshane Thomas, and Kemar Roach and Shannon Gabriel, are in trouble again early in their innings. A fast and bouncy wicket is expected. England desperately want something dull and drab.